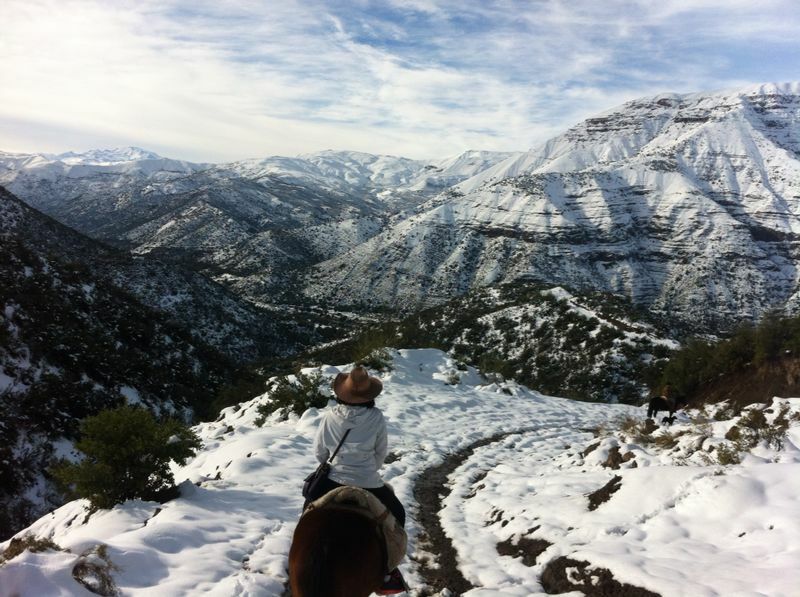 Horseback winter rides: riding in the Andes in winter near Santiago, Chile. 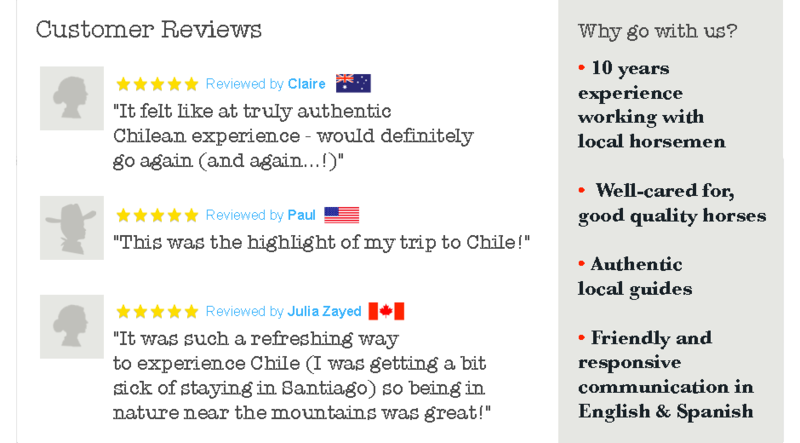 The cordillera around Santiago is in many ways more beautiful in winter even than in summer. Horseback winter rides in the frequent sunshine are a real pleasure – not too cold but not unbearably hot either. 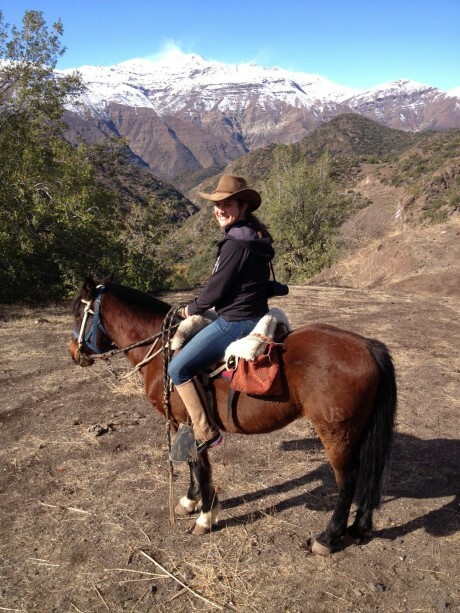 For this reason we recommend horseback winter rides for a day in the Andes as things to do if you are visiting Santiago for business or pleasure in the winter months. Instead of summer flowers, in winter we have snow on the surrounding heights. 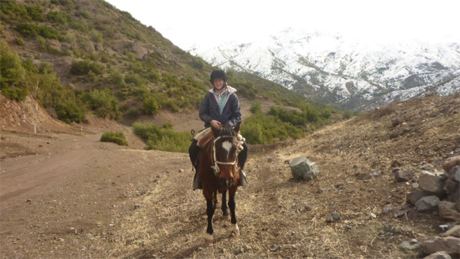 The snow capped peaks are in the distance, and it rarely snows at the altitude where we take your horse ride. Just occasionally there is snow lower down (see photo below) and this is a wonderful ride for the brave at heart – but not a very common experience. The snow is more often in the distance. The sun usually shines and the middle of the day is almost hot, however cold the nights. There are some bad days but the weather forecast is usually clear for several days ahead and so we know when it is going to snow. If you have made an advance booking and paid a deposit we will refund everything if the cause of missing your ride is bad weather. Alternatively we can postpone the ride if your dates are flexible.